According to Deadline, Liam Neeson’s next Liam Neeson movie is thrillingly titled The Commuter, and it shares a lot of the same behind-the-scenes people as Non-Stop and Unknown, both of which were also Liam Neeson movies. In this one, Neeson will play a businessman (the eponymous commuter) who “unwittingly gets caught up in a criminal conspiracy” while driving home. It sounds like there’s a huge leap somewhere in there, but a logical storyline isn’t really the most important thing in a movie like this anyway. 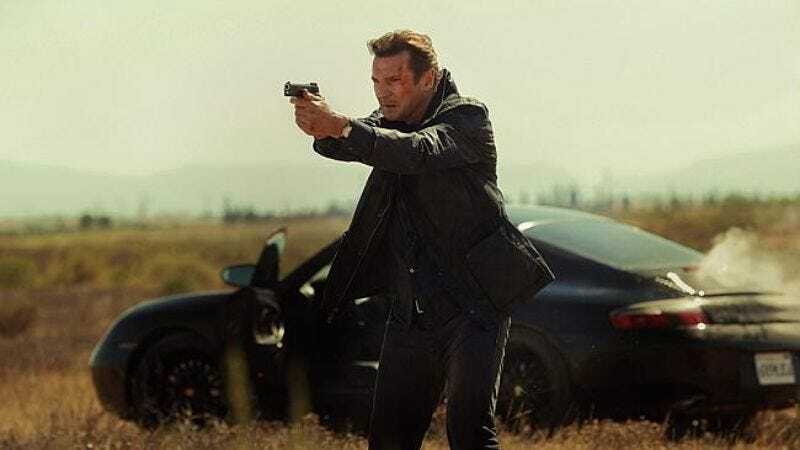 It just needs to set up why Neeson is driving a car, why he wants to shoot some bad guys, why he’s talking with an accent, and why his daughter wants to become a famous singer. It sounds like The Commuter should be able to knock out a few of those pretty easily, so this could be another classic Neeson thriller like those two we mentioned earlier that weren’t Taken. We’ve already forgotten their names.